Having a night out is such a treat. Our lives are busy with work, kids, household chores, errands and more. We all know the list is endless. Sometimes it’s just nice to step back and enjoy some quality time with your loved one. Lucky for my husband and me, our night out included dinner at Embers. 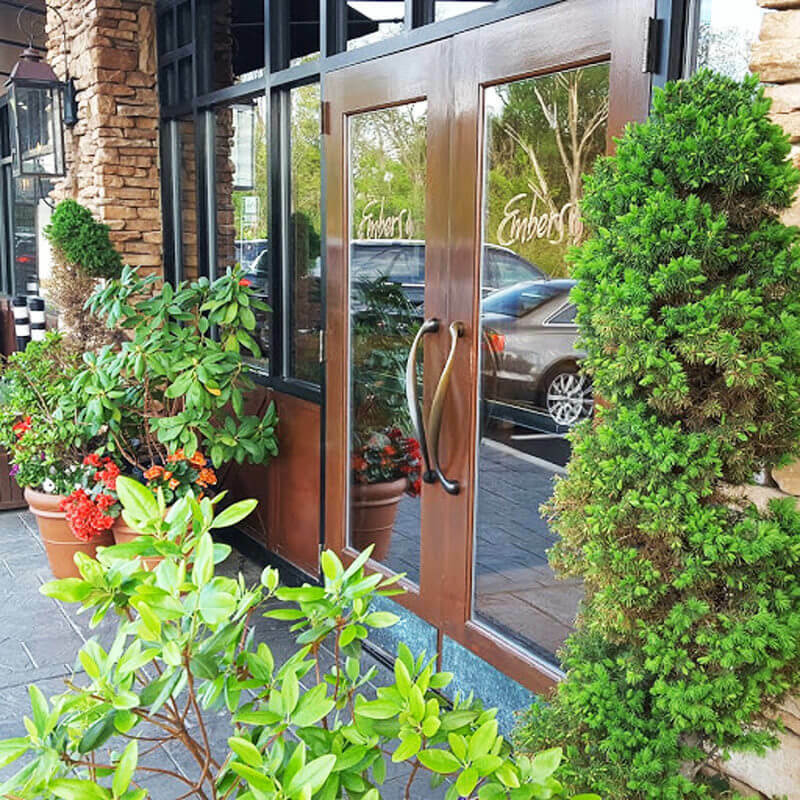 Located in Kenwood, Embers is the perfect spot to reconnect while enjoying delicious cuisine. As soon as you pull into the parking lot and see the gas lit lanterns and the beautiful stone adorning the entrance, you know you picked the right spot. We felt welcomed right away as the hostess warmly greeted us. While waiting for our table, I peeked into the intimate bar area. Here you could tell patrons were enjoying themselves. Smiles, laughter and the comfortable lull of multiple conversations filled my ears. 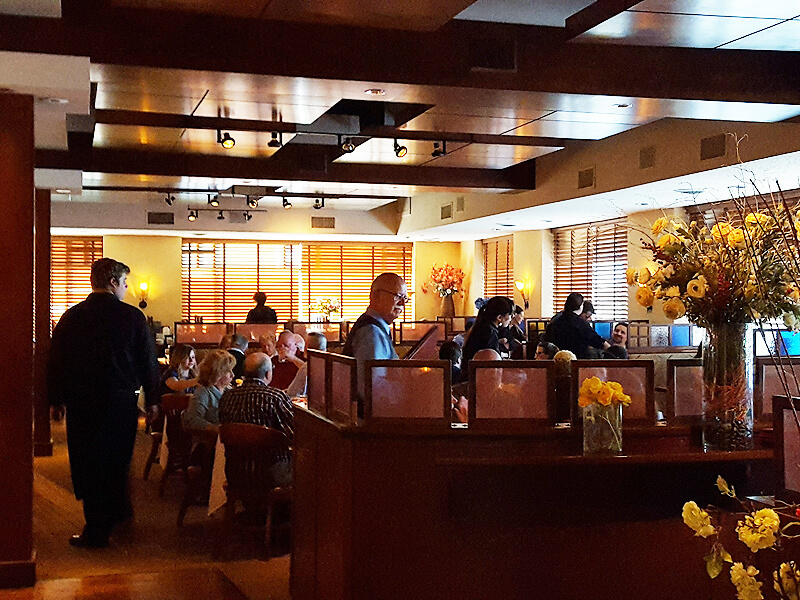 The bar offers a daily happy hour from 4-6 p.m. with wine, beer and cocktails specials as well as small bites. I definitely want to return to enjoy it. Embers is filled with ambiance. It has the right mix of glowing candles and low-lit lighting with soothing décor. There are intimate booths that are perfect for a date night, as well as plenty of table seating without the feeling of being overcrowded. Even though we dined on a Saturday night during Cincinnati Restaurant Week, I never felt rushed and noticed how attentive the servers, bussers and managers were to their guests. 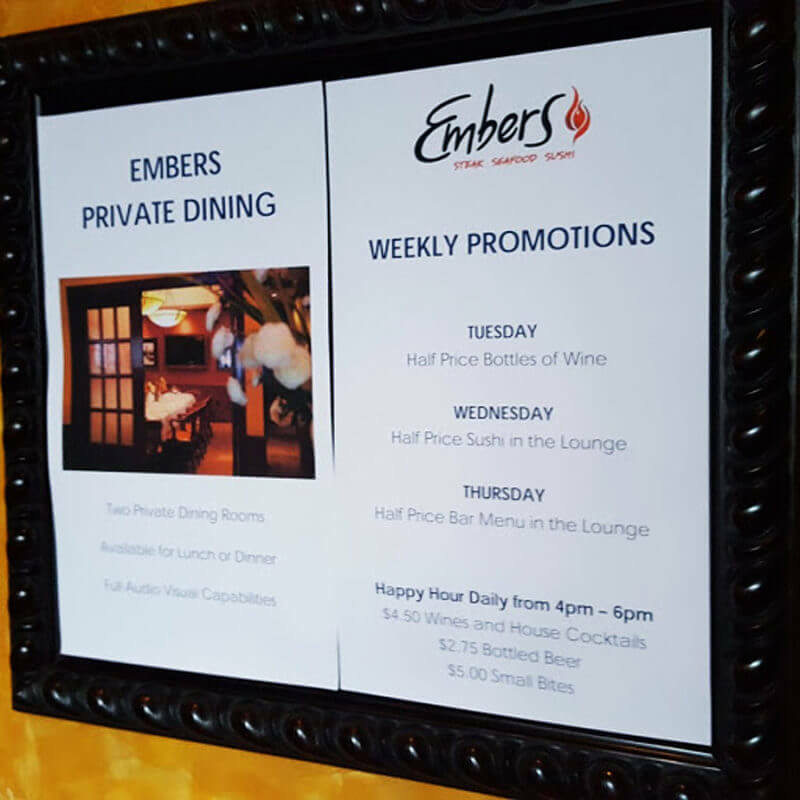 Checking on patrons without hovering is an art, and the staff at Embers has it down. I was really impressed. 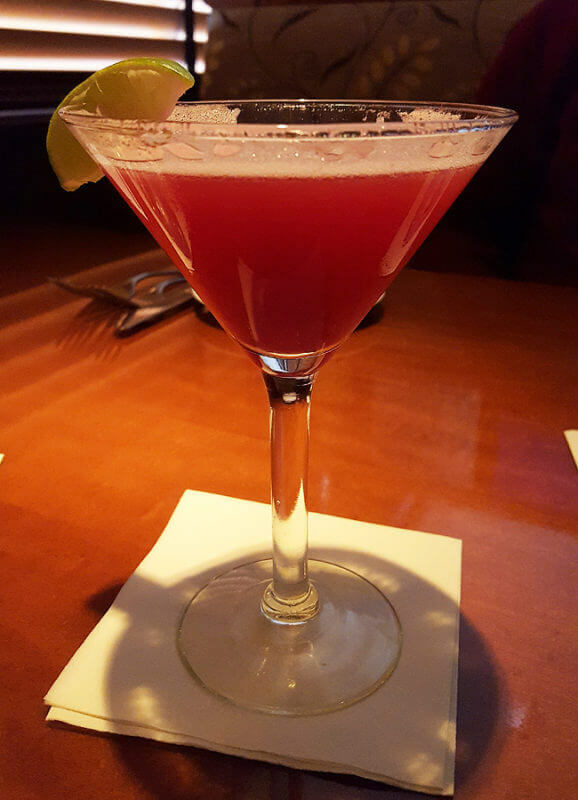 Whenever, I dine out, I always get a fun cocktail to enjoy. The Embers Flirtini was the right choice. 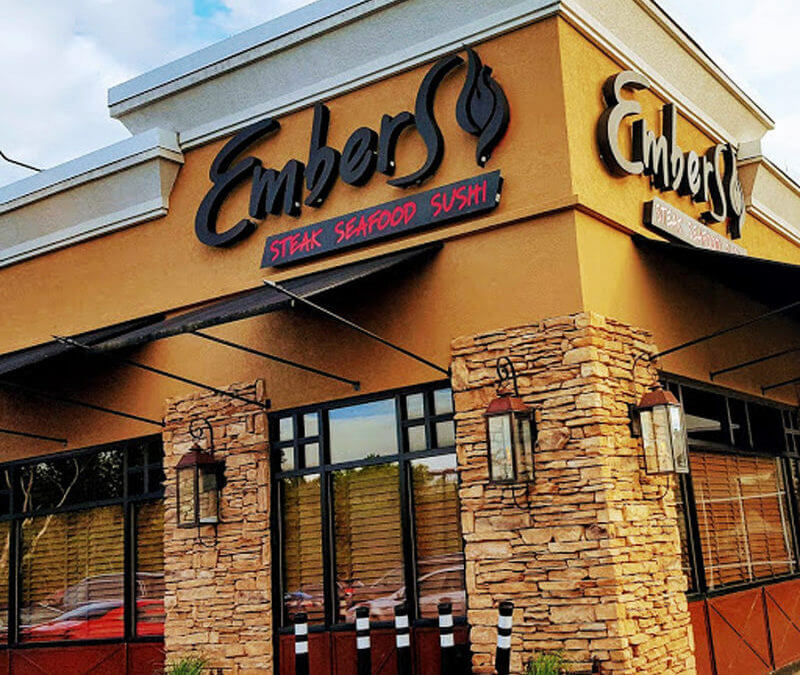 Embers is known for their steaks, but they also have sushi and seafood. 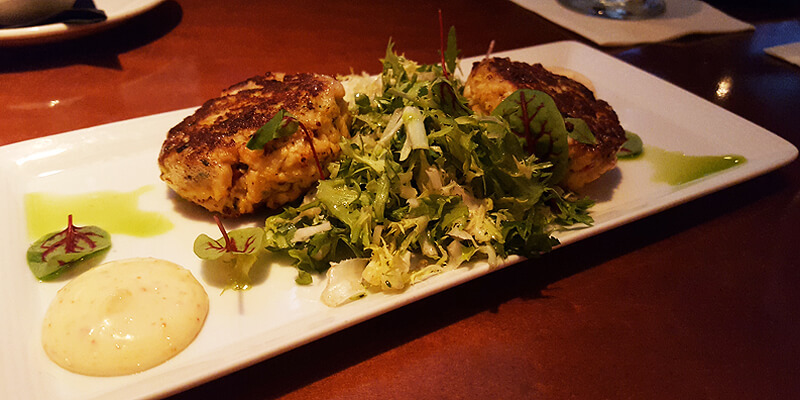 I love both, so I was thrilled to see seared crab cakes on the appetizer menu. I’m so glad we ordered this. They were light and flavorful and filled with crab, and I loved the presentation. Our server, Carmen, had some wonderful suggestions for dinner. 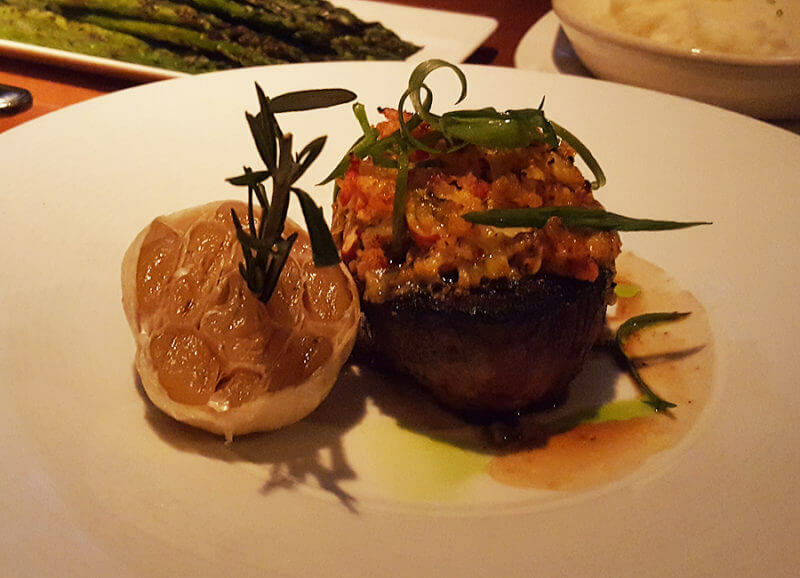 Having a server that knows the menu is another reason to dine at Embers. A knowledgeable and friendly staff really enhances your night out. We never felt rushed, and our menu items were spaced perfectly so that we could enjoy each other and savor each course. Chris and I both opted to try steaks. I also wanted a hint of seafood, so I added the Lobster Gruyere to my steak. Chris selected the Béarnaise/Hollandaise sauce for his. Both choices were spot on, and the seared steaks were full of flavor. Their side dishes are designed for sharing, which makes your dining experience even more rewarding since you can enjoy dishes together. The accompanying grilled asparagus and mashed potatoes rounded out our meal. Of course we were tempted and succumbed to desert. 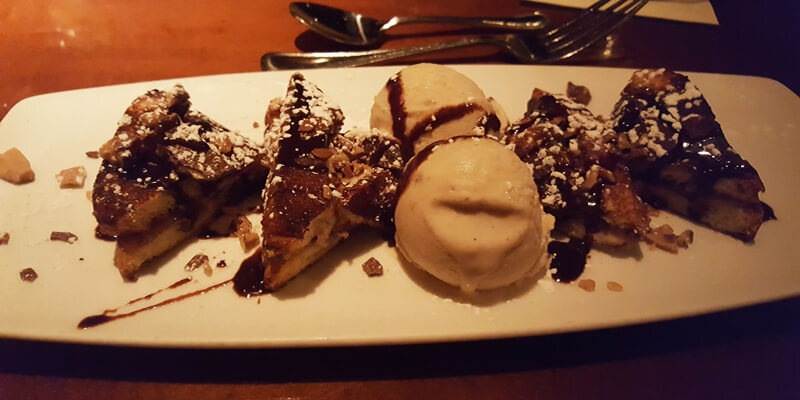 You can’t go wrong with any of the deserts at Embers. Indulge in their homemade ice cream or delve into Oreo stuffed donuts. Your taste buds will thank you. Make your next date night reservations at Embers and treat yourself to delectable dining, first-class service and a beautiful setting. Kristin lives in Mason, Ohio, noted by Money Magazine as one of the "7th best places to live for families" in a small town. She lives with her husband, Chris, two girls, rescue Border Collie, Ozzie and Ginger, the cat. They enjoy exploring their hometown and Greater Cincinnati for fun family adventures. 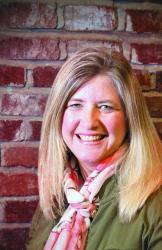 You can visit Kristin on her blog, MasonMetu,"Greater Cincinnati's one-stop site for family fun!" She started MasonMetu in February of 2009 and has also been a contributing writer for Family Friendly Cincinnati since its inception.